Yesterday (July 8), Drake’s Scorpion album created history by becoming the first album to score more than a billion streams in a single week. It sold 732k copies in the first week with streaming numbers included. But the full Billboard charts have been unveiled today which present more records broken by the superstar rapper. Drake has seven songs in the top 10 of Billboard Hot 100 simultaneously, beating the Beatles’ record of five that had stood since 1964. The seven top-charting Scorpion songs are ‘Nice For What,’ which returns for its eighth week at No. 1, ‘Nonstop,’ debuting at No. 2, ‘God’s Plan’ jumping to No. 4 from No. 9, ‘In My Feelings,’ debuting at No. 6, a new peak of No. 7 for ‘I’m Upset;’ ‘Emotionless,’ debuting at No. 8 and ‘Don’t Matter To Me,’ featuring Michael Jackson, which enters at No. 9. 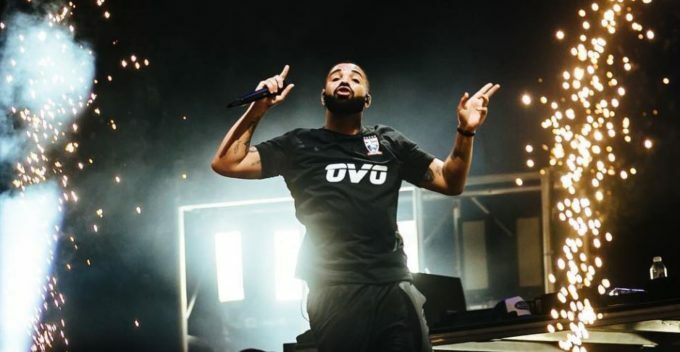 Drake also adds five new Hot 100 top 10s to his tally, taking his career count to 31 and passing Michael Jackson for the most among male soloists. The rapper as a total of 27 songs on the Billboard Hot 100 with 25 of them from Scorpion. ‘In My Feelings’ seems to be a song that is poised to become the next smash from the album. At the time of posting this article, the track is occupying the number 1 position on Spotify, Apple Music and iTunes.